St. Charles Hyundai has been proudly servicing the St. Charles, St. Louis, and O'Fallon area with quality vehicles and services since we opened our doors in 1979. Our staff of friendly automotive experts is committed to providing our customers with great service and helpful information. Because we try to make the car buying experience easier, you can start your journey by browsing our new and used inventory on our website. You'll see the latest and greatest Hyundai models that we have in stock. We also have an extensive certified pre-owned inventory. 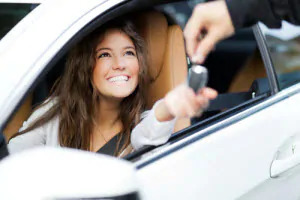 Buying a pre-owned vehicle isn't a bad deal because these cars go through a meticulous inspection to ensure their quality before we put them on our lot. To give you more information about our models, we have various research tools that are free for you to use. Our vehicle reviews give you a detailed description of our newest Hyundai models and what they offer you. You can learn about the vehicle's engine power, interior comforts, or safety. These reviews will not only help you by giving you the key features of our vehicles, but they'll also help you narrow down your list. Our vehicle comparisons will also help you in your research process. These articles show how our models stack up to the competition. We'll draw a fair comparison to show you the advantages that our vehicles have over similar ones in its class. On this page, you'll see a list of the towns and cities that we proudly serve. For more relevant information, take the time to find your community and click to learn about all of the wonderful services that we offer. All of these pages start with an introduction about the community and its wonderful sights and activities, and then we introduce our dealership and we list our most popular services. These pages are useful tools to help drivers in your community learn about the many vehicles that we offer and how we can help their Hyundai with our state-of-the-art service center. If you have any questions, please contact us at St. Charles Hyundai to speak with one of our automotive experts. We're always happy to help and serve drivers like you in the St. Charles, St. Louis, and O'Fallon. Click any of our service area pages to learn more about the towns and cities that we're proud to serve.